A Business Plan is a formal document that is used to outline all the aspects of a business. 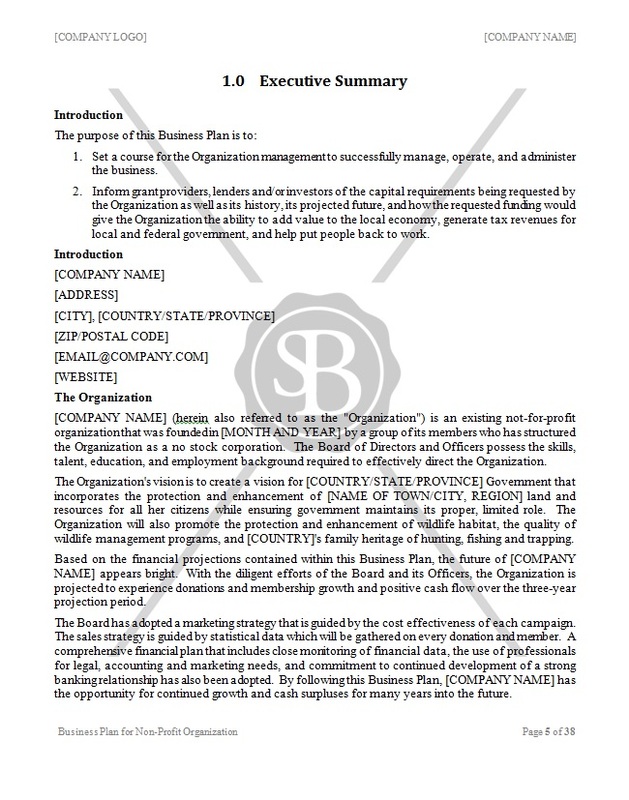 This document contains: an Organization Summary, a Market Analysis Summary and a Financial Plan. This template is intended for a Non-Profit Organization that focuses on the protection of wildlife and resources.